The soothing shades of the rooms, the plush feel of the sofas, the warm and compassionate tone in her voice, and the smile on her face, all enable you to relax the moment you step foot into Melanie Baker's Hypnotics Center. For over fifteen years, Melanie has been helping people to overcome a variety of obstacles. Using only her voice, she will easily guide you into a very pleasant, relaxed state. It is in this state that your mind becomes very aware, but most importantly, extremely receptive to suggestions. This highly skilled hypnotist will then offer specific suggestions tailored to your needs for the types of changes that you want to make. Whether you would like to stop smoking, eliminate a habit or fear, enjoy fearless public speaking, better your sales skills, improve your self-confidence, stop repetitive negative thoughts, or simply make a change in your life and feel better, call the Hypnotics Center to help make it easy. Hypnosis is simple, fast, natural, effective, and empowering. It just feels great!! 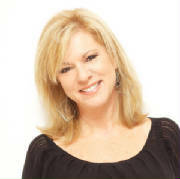 Melanie Baker is a professional hypnotherapist and received her initial formal training from Jerry Kein through the Omni Hypnosis Training Center, which provides one of the most well recognized programs in the country. Melanie trained in regression therapy with Dr. Brian Weiss, who is world renowned for his work in the field. She has also continued her education with many of the most experienced experts in the profession. She attends yearly conventions in Boston, keeping herself informed, and always updating/perfecting her talent. She is an active member with the National Guild of Hypnotists. As a young girl, Melanie was introduced to hypnosis by her father, also a hypnotist and educator. She earned a B.A. in Psychology from Baruch College in New York City and an M.S. in Computer & Information Science from Nova University in Fort Lauderdale. She is dedicated to her full-time practice. Melanie is happily married to her wonderful husband David. They are enjoying the empty nester life!